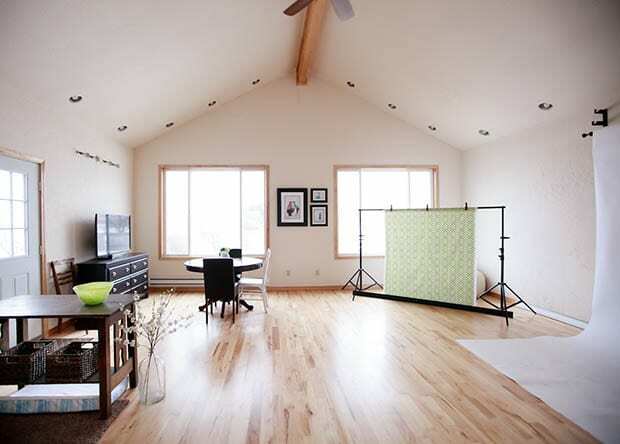 Want to have your own dreamlike photography studio, but you’re on a tight budget? To get the best shots, sometimes it’s necessary to have a professional photo studio setup. 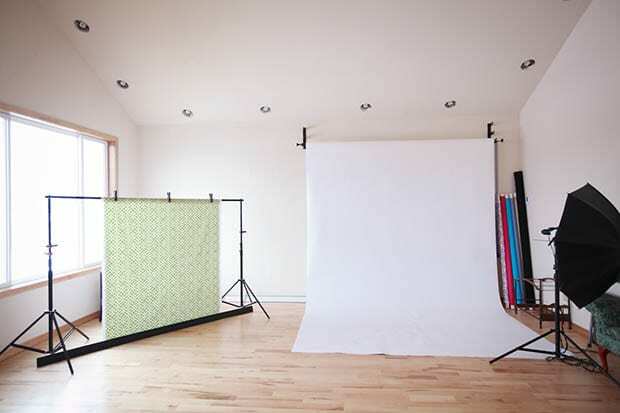 In this article, we’ll show you how to create your own photography studio in your home. You may be thinking that you’ll have to wait until you become successful before you can have a nice photography studio setup. After all, renting out a professional studio space can be quite expensive if you’re a new photographer, especially since you’re still trying to get your photography business off the ground. However, there is a way to set up your own studio on a limited budget, in your own home. The first thing you need to do is to look for a space for your photography studio and clear it out. This could be an unused room in your house, a guest room, or even your garage. So how big does your room need to be? Well, if you want to capture full-body shots, or if you need to use a wide angle lens, hair lights, or reflectors, then you’ll need the biggest space possible in both width and height. However, if you are only going to be doing still life, headshots, or macrophotography, you can get away with a much smaller space. You’ll need to buy some artificial lights for your photography studio. Professional lighting can cost you anywhere between $200-$800. However, you don’t need to spend as much if you create your own lights. If your space has natural light, you can use that too. A south or north facing window works particularly well. For more detailed instructions, read our guide on everything you need to know about photography lighting. And don’t forget: your DSLR camera has a built-in flash which can be used for portraits! 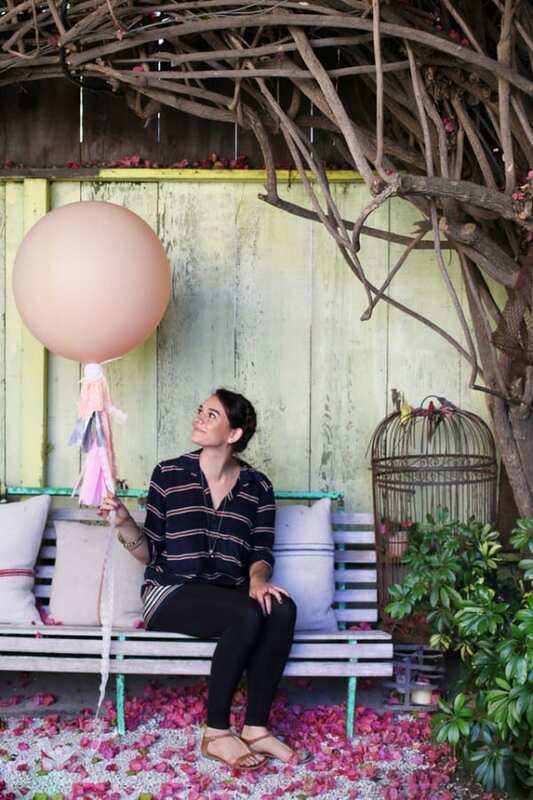 Did you know that building backdrops is an easy and fun DIY activity? You can save money by making your own backdrops out of used or leftover materials. First thing you need to do is to mount a curtain rod on the ceiling or high up on a wall. Then, hang some curtains or fabrics of different colors, and switch them out as needed to get the look you want. You can also display colorful artwork on your wall for a more unique background for portraits. If you don’t want to create your own variety of backdrops, we recommend getting a white muslin backdrop (you can find them for as little as $20), and customize the shots later in Photoshop. Because your budget is limited, sometimes photos captured in a home-based studio can start to look really similar. 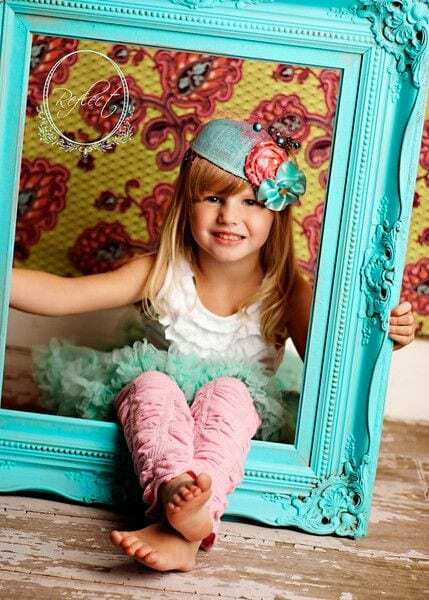 However, adding some props can spice up your portraits and make them stand out. Buying your props at a store can use up your budget really quickly. But if you think outside the box, you can find props all around your house… Your mom’s rejected purse, your sister’s old teddy bear, an empty picture frame, or pretty much any used item in your house can double as a prop. We recommend changing out your props with the seasons and the holidays, like Christmas and New Years, so your regular clients will want to keep coming back for more. Most photographers take days, or even weeks, to produce their prints. But if you have your own printer, you can produce prints instantly and really “wow” your clients. Use some of the money you’ve saved on overhead costs to purchase a printer. You can even make your printer pay for itself by offering to make prints for other photographers at a fair price. 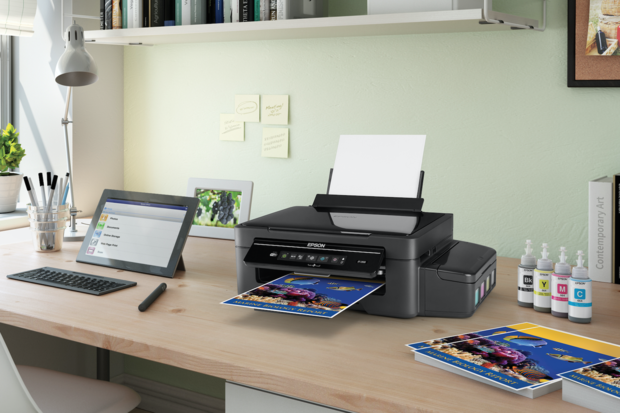 Here are the 10 best photo printers of 2016. 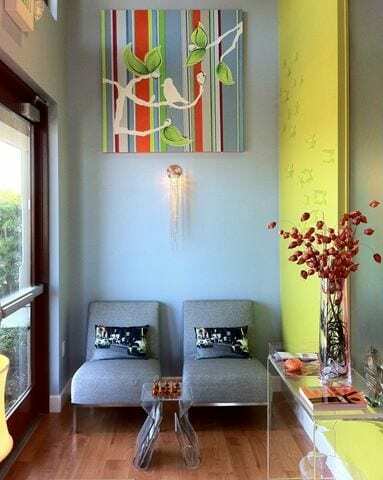 It may seem like a small detail, but having a waiting area can really help to make your clients happy and comfortable before and after their shoot. You don’t even need a special room for this. You can use your garden, an entry way, or a balcony for your clients to wait their turn, or wait for their prints to be made. Add some seating and a side-table with some magazines to keep them busy. You can also use this area for meeting with your clients, so remember to include a spot for you to sit as well. We hope this article helped you to know how to create your own photography studio for attracting more clients and growing your photography business. You may also want to check out how much does it cost to start a photography business. Follow us on Facebook and Twitter for more useful guides about photography. Great article That I found very very helpful – thanks!!! Glad you found it helpful ? Don’t forget to follow us on Twitter for more photography tips and tutorials. Love it! just about time! This is really great work. Thank you for sharing such a useful information here in How To Create Your Own Photography Studio . This is wonderful, it help me know where to start from. You got me when you said that a photography studio must be free from any clutter and has the biggest space possible. My husband and I are interested in capturing family photos, so we’re planning to have photo shoots. Since our apartment has only 2 rooms, we don’t think that we can empty 1 room since we don’t have enough space for our belongings. We’ll consider renting a studio space instead. Thanks!